Life goes on - Winter 2017 - Off Topic - Drive On Wood! Thanks for the reminder Bruce, l need to start looking for sap too. No sugar maple here but l was thinking to try taping a few birch trees. From what I read you really have to boil the birch alot more. My brother in Alaska was talking about that at one point. This is one of those things I wonder how people discovered. I think in the past people where much more in touch with nature because I would never think to try driving a tap into a tree and boiling down the sap if i didn’t know about it in the first place. Well the goal is not realy to boil it down to syrup, l wanted to try to brew a aincient Slavic drink made from fermented birch sap and rasins and some spices. The sap contains lots of trace minerals that are suposed to be wery good for the body. Interesting I have always wondered why people don’t do that with sap here. But it is all syrup as far as I kmow. My grandfather used to partially boil down maple sap and ferment some. He also made birch syrup sometimes. Mostly it was maple syrup and in his day maple sugar. There are sometimes reasons that ancient drinks fell out of favor - my guess is that “very good for the body” is in fact a code for “it tastes awful” Do your local breweries not make IPA yet? After the last three days cold, cold and daily accumulating snows here in my valley we are maybe half of that now. 12 inches. We always maintain one vehicle all-wheel/or 4x4 drive with winter studded tires October to end of March. A sacrifice vehicle for the sand and gravel road crews spread (Grrr. now, some salt too); and the wilder crazy skidding drivers. Problem is down here below 2000-3000 feet it does not stay constant to enforce snow knowledgeable driving. Problem is many, many transitions in/out of roads surfaces packed snow-ice, then rain snot-ice, then back to spot freezing along any 10 mile stretch. North hillside shadowing road stretches the worst. Like your Spring thawing out Groundhog Day repeating for four months unpredictably. Follow a world globe around and be surprised that we’all in Washington state are actually sun shadow north of 90% of folks in the lower US, even Maine. North even of 80% living in Canada. Why here an in-house woodstove in one year gets at least 3-5X the heat-worked hours of a southern boy system. They get up to 10 years on a barrel stove conversion. We get one/never more than three years. Daily heating needed usually from beginning Oct thru June. Not a lot in the shoulders months. One wheelbarrows worth in 3-4 days. Arctic air cold spells like the last fours days it is one overloaded wheelbarrow of stove wood a day. Fir woods are low density, bulky. Too flaring, popping hard to control outside of a good airtight stove. A true large firebox airtight with good air contols make this “poor” (for fireplaces) wood calm right down and able to be combustion stretched out for a true 85% use efficiency. And our Doug Fir trees do actually grow year around loving the clouds and raining. Interesting to me that Ma’ Nature actually supplies needs in each environment. We just have to see, be flexible, and adapt ourselves. WaState eastsiders can PV solar quite well. Good payback. Ha! Have to “arrange” for fuelwoods. WaState west(wet)siders four months of the years would kill for some sunshine. Very, very poor annual PV solar payback here. Fuelwood, aplenty. Why we wood-for-fuel users here see well that the social-become-legal restrictions on using wood is pure unscientific based over-reach, social-over-control. WetSide Greens in Washington State and Oregon actually do feel wood fuel users are tree killers, resource hogs, planet polluters, toothless 19th century throwbacks needing restrained. Reeducated. Failing that . . . locked up. After all. Natural gas is better. It is right there in the name. Big systems Wind is better, because it is new, higher Tech. PV solar the best even if cloudy wetside it requires Federal Gov’mint subsidizing to get folks to install. And then Fed-down payed back for grid feedbacks at 2-3x of currnet wholesale rates. They openly declared and forced state law here that BigHydro is not allowed counted as a renewable power. Why? It interferes with free flowing rivers. Fish-killers. And interferes with Native American traditional rights. And of course they are death to all Nuclear Plants. Me too that anymore. But? How you’all Greens going to recharge all of your growing use out here of plug-in electric cars eh? Without Nuke grid inputs? Without Big Hydro inputs? More weekly Montana coal trains to the CentraliaWA steam power plant? So you’d think the Greens out here would realize each home wood heated could be one more plug-in electric car grid supported. Nope. That would be logical. That would be practical. Opps. Time to snow-drift-walk back home at restoke up the fire. Six hour power outage two nights ago from a car ice slid into a power pole. Electric heat folks were getting cold by the time of Grid restore. Airsourced heat pumpers, propane central furnace folks, even most pellet stove folks were without heat chilling down too. Don’t let the bottle deceive you, what’s inside is Raspberry kombucha. Very tasty and good for you. A very ancient drink. My sweetheart Dana has become quite the brew master at making kombucha drink in different flavors. 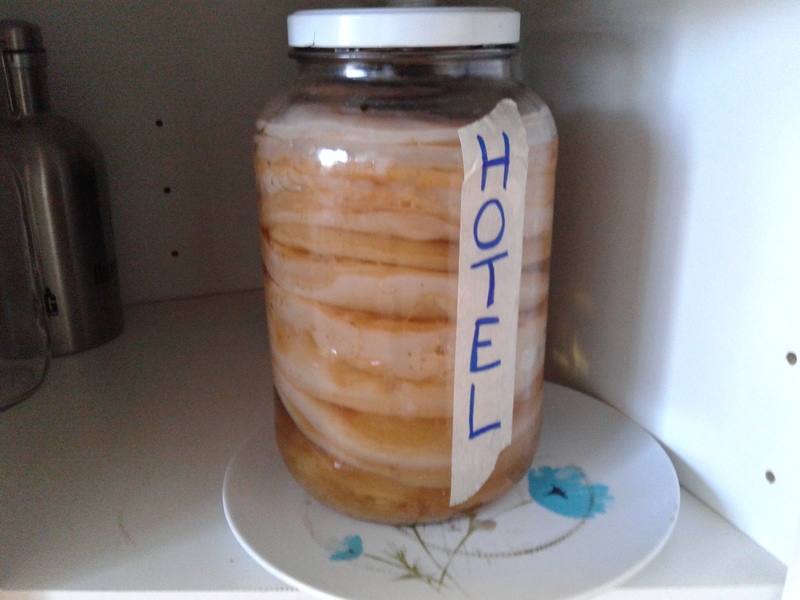 Here is the SCOBY (Symbiotic Culture Of Bacteria and Yeast) mushroom hotel. 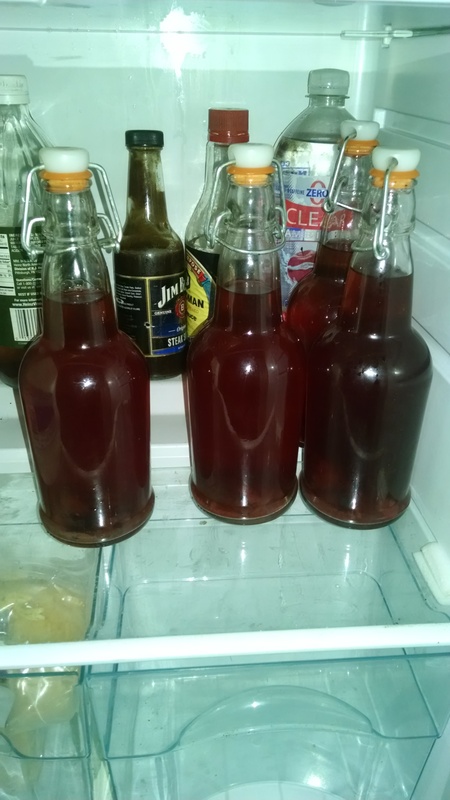 One of these is what makes the kombucha in about 18 to 21 days. It is a naturally carbonated drink. And yes it is a low alcohol drink. Store it in a cool place or refrigerate it. We drink it every day, lots of good healthy emzimes in it. How you know what makes me act the way I do. Ha ha. This drink has become very popular in the stores we have notice in the pass few years. Glad we brew it at home for pennies a glass full, instead of dollars. Yes Steve, you are 100% correct in what you are saying here. I give you 100 likes on the like bottom. Birch syrup is nice, so it follows that a brew made from the sap should be agreeable. I believe sugar content of birch sap might be a third less than maple sap, so still worth boiling. Regarding how people found it, if you were in a land with no sugar, anything remotely sweet would get attention, just as the weak salt springs got identified for boiling down to brine. Maple twigs broken in the winter will begin to drip sap in the late winter, which attracts interest, and the sap evaporates leaving the area quite sweet. Sweet tooth would have led to the rest. That probably makes it about the same as silver maple. I have tons of silver maple and some red maple I think it is but not alot of real sugar maple here. I could probably could make a little money on it but I seem to be busy all the time and working up wood for the house is enough of a challenge getting wood for syrup seems like a crazy idea. 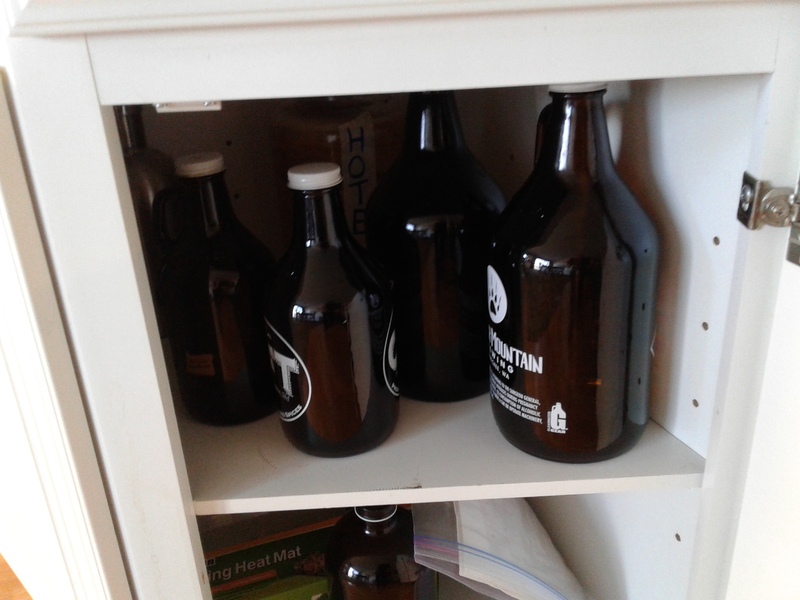 Silver maple can be tapped. Tapping is good exercise and a good spring ritual. The main thing is to have an efficient evaporator system. basically using a reverse osmosis home sized unit for sap concentration. The plus side is 75% less boiling on the negative side its gear heavy relies on synthetic membranes and of course that means no charcoal or heat in the greenhouse. Call me a purist I love the batch boiled caramelized taste of old school syrup. I have never tried birch syrup, but then we dont have many birch trees around these parts. I could see how it might make a nice beverage, so maybe I am just spoiled by living in a paradise of beer and wine. I have heard of people making syrup with the sap from our native bigleaf maple, but it takes much longer to boil it down, and we rarely get the big temperature swings that I understand you need to get the sap to run well. My brother tried tapping trees one winter, but nothing came out. I just recently experimented with making Mosto Cotto, which is just boiled down grape juice. Half a gallon of juice cooked down to about a cup. I think I made it too thick, and traditionally you add ash to the juice which must be neutralizing some of the acid - so what I came up with has an underlying tartness. I have always thought it would be fun to try and go a whole year only eating food you had grown, but my wife talked me down to a whole week. We are going to try it in the fall after the grape harvest this year. 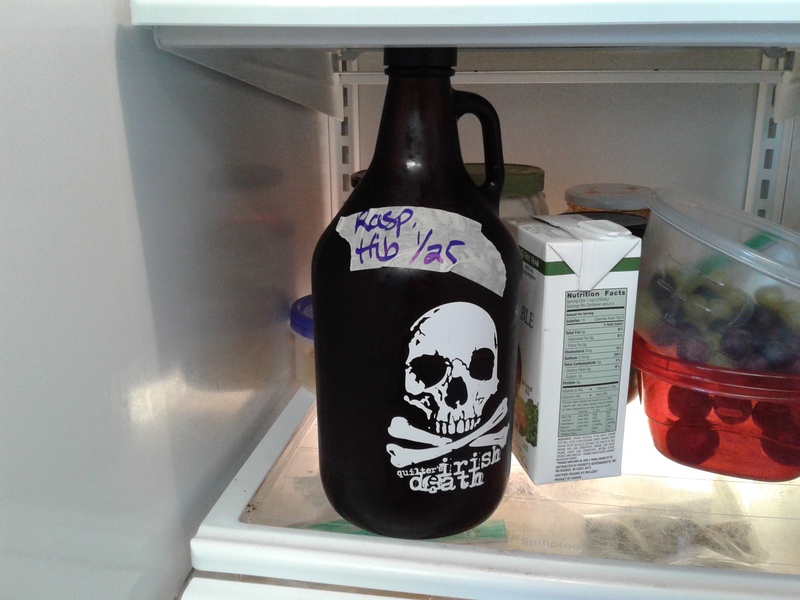 My wife’s been making kombucha since last Fall. She will add grape juice she made from a 5 gallon bucket of wild grapes from a neighbor. Once that ran out, she Used raspberries, strawberries and blueberries we picked last summer. I drink a bottle per day because it helps my gut. From what I understand, Birch sap is an 80:1 ratio. I also understand it’s easy to burn and you can’t boil it as hard as you’d so with Maple sap. We tap some Birch trees just for the water. Yes Steve the regulations inland (puget sound) are getting to a point that you cant do anything without a permit. I grew up in Port Orchard, and still own property on that side of the hill. My kids live on the land off grid even though power is close by. The property taxes are insane and the kids pay them or i would have to sell. I relocated on the coast where there is no population and my nearest neighbor is 2 miles away. Property taxes are cheap and no jobs to attract people out here. Thats the only drawback, a guy has to take whatever work comes along. Our greedy state has let the hispanics take over our cedar shake industry with their drug moneys and now an honest man has no chance to survive, our little town of 30 people ised to have 4 cedar mills, now there is none. Most everyone has moved on. The greed of our state government has no end, all they see is dollars. They should change the name to TAXINGTON. Converted everyone from septic tanks to a collection system and built a waste treatment plant. WOW does it rain over there. Scary to watch the guy cutting shakes on a 24” bandsaw, there must be a few missing fingers!